The Kershaw AM-3 designed by Al Mar knives features SpeedSafe assisted opening for quick and simple one-handed opening. Just pull back on the flipper or push on the thumbstud. The blade is quality 8Cr13MoV stainless steel with a handsome satin finish and a top swedge. The front handle scale is G-10 crowned and polished for a smooth feel and classy look. 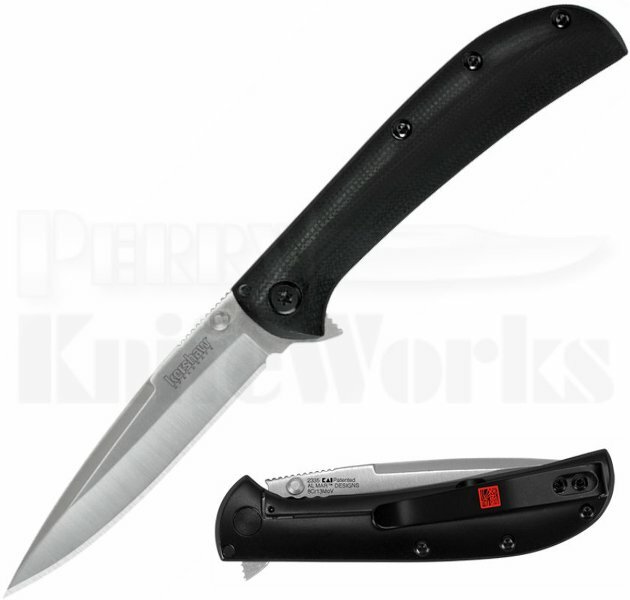 The back is pure steel with a sturdy frame lock to keep the blade in position until you release it. The AM-3 also features a deep carry pocketclip with AL MAR KNIVES' red logo emblem and for an extra measure of visual interest we used red standoffs.